On Making Money?, we put together bets that may be worth the risk. I am not a professional gambler. I don’t recommend taking my advice. I just have fun putting these things together. If you lose, I told you not to take my advice. Parlay 1- Guys I See Taking This. Garbrandt is 6-0-0, which along is nothing too impressive, however he is a member of Team Alpha Male, and hasn’t won by any other method besides knockout. Pretty good move with Cody here. Matt Brown is always looking to take someone’s head off. He has two losses since 2011, and there were to the last champion, and the current champion of the division. Means is a good fighter, but I am not impressed by any of the wins when compared to Brown. Brown here. Both guys here were highly touted before their last fight. They both lost, however Nelson lost a split decision to someone in the division, Thatch lost to Benson Henderson, who moved up a weight class for the fight. I like Nelson here. This is a stylistic match up. Lawler is going to come out swinging, and MacDonald will try to keep his range and pick Lawler apart. I like Robbie here based on recent outings. This is purely for fun, It has only hit once in recent memory and of course it was the time I forgot to bet. This $10.00 bet will win you $152,651.43. However, you have 3 long shots, two big what-ifs, and 3 50/50 fights in that. That’s all folks, I’m off to lose some money, don’t take my advice or you will be too. 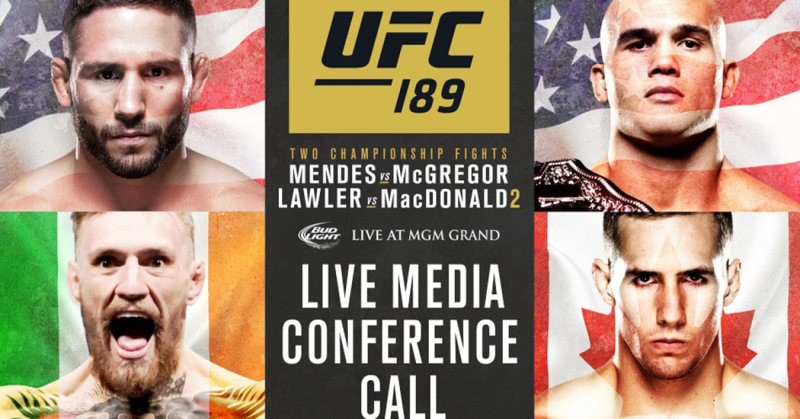 Posted in MMA.Tagged betting, fun, odds, parlay, props, sports, UFC, ufc189.